Vinyl records are among a big resurgence—at least a big resurgence compared to what they used to be. Compared to the overall pie of music consumption, they still inhabit a very small segment. But by the numbers, vinyl is the fastest-growing segment of the otherwise dwindling physical music sales market. This has resulted in heavy workloads for vinyl manufacturers around the world. After decades of overall downsizing in the vinyl industry, the current largest vinyl manufacturer in the United Sates called United Record Pressing based in Nashville, TN has announced they are expanding to a second location, and spending $5.5 million to acquire the new space. The 142,000-square-foot facility off on Nolensville Pike in Nashville will add 16 new presses to the country’s vinyl manufacturing infrastructure, as well as additional storage space. United Record Pressing was the partner in Jack White’s recording and manufacturing of a vinyl record in record time as a promotion for last month’s Record Store Day; a day that was somewhat blemished when demand for vinyl releases was so high it put a toll on manufacturers all around the world, resulting in some smaller, independent labels and artists getting squeezed out of the opportunity to sell their records as part of the promotional event. As Saving Country Music explained in Broken Record: Why Record Store Day Is Not Working, major labels and big indie labels can demand priority from manufacturers because they request bigger orders. The result has been many small labels having their vinyl runs delayed on a crowded manufacturing schedule, affecting their Record Store Day releases, and in some instances, even affecting vinyl releases from smaller labels that have nothing to do with Record Store Day. It has also resulted in many labels having to seek vinyl manufacturers outside of their own country, raising costs for shipping, cutting into label’s overall margins, and sending manufacturing dollars overseas. 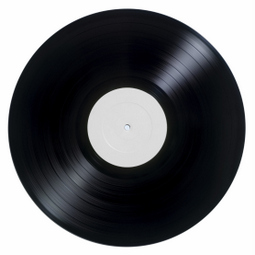 Though it may be just as much symbolic as significantly helpful to easing the tightness in the vinyl manufacturing market, the fact that new vinyl manufacturing infrastructure is coming online speaks to just how deep the vinyl trend is going, and that the manufacturing industry, or at least United Record Pressing, is committed to solving the problems this demand has created. So is it time for those of us who rip files for broadcast to ad the conversion gear to our studio ? Looks like the critical demand is being met sooner than I expected. I went there for a college field trip. It’s a pretty amazing place. Called it, didn’t I? God bless capitalism. I hope they use some of that money to upgrade their quality control. They press some of the most noisy records I have ever heard (and I don’t mean the music thats on it). When this vinyl fad is over, they will be closing their factory.